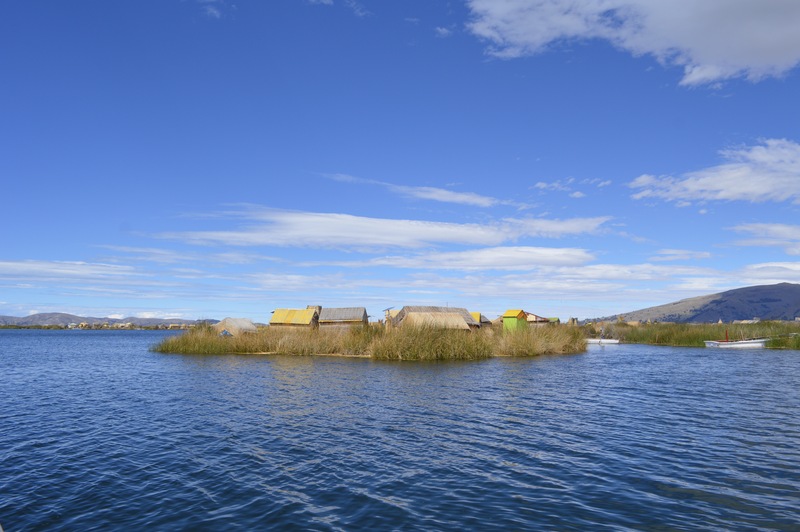 Lake Titicaca stretches over 190 km in the Andes along the Bolivian and Peruvian border. It has an altitude of 3,812 m and has therefore been deemed the highest navigable lake in the world. 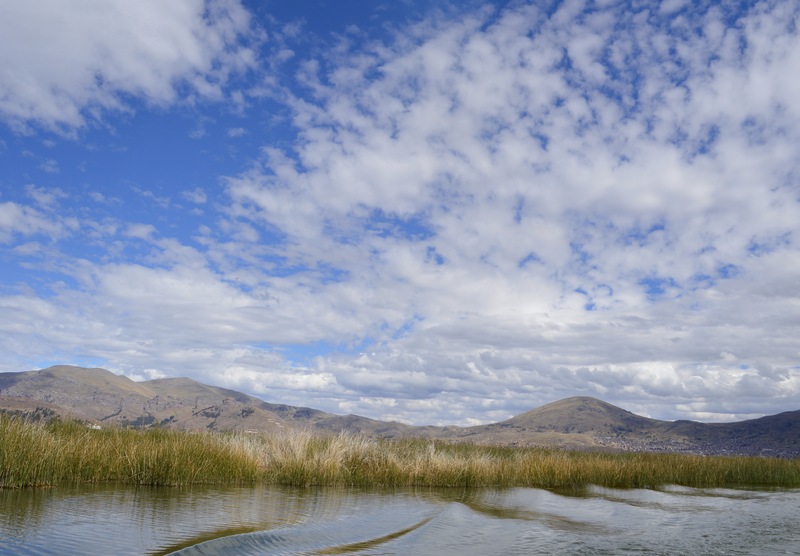 This lake is home to over 500 aquatic species and has become a tourist destination in both Bolivia and Peru. We visited the lake from both countries and enjoyed the different activities the lake had to offer. 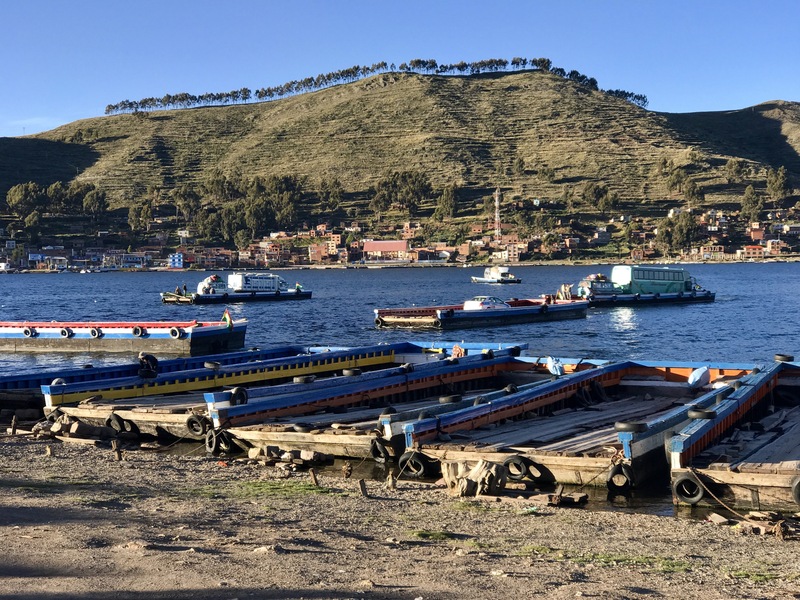 Copacabana is the Bolivian town on Lake Titicaca. It is home to 6,000 people and has a lot of accomodation for tourists. 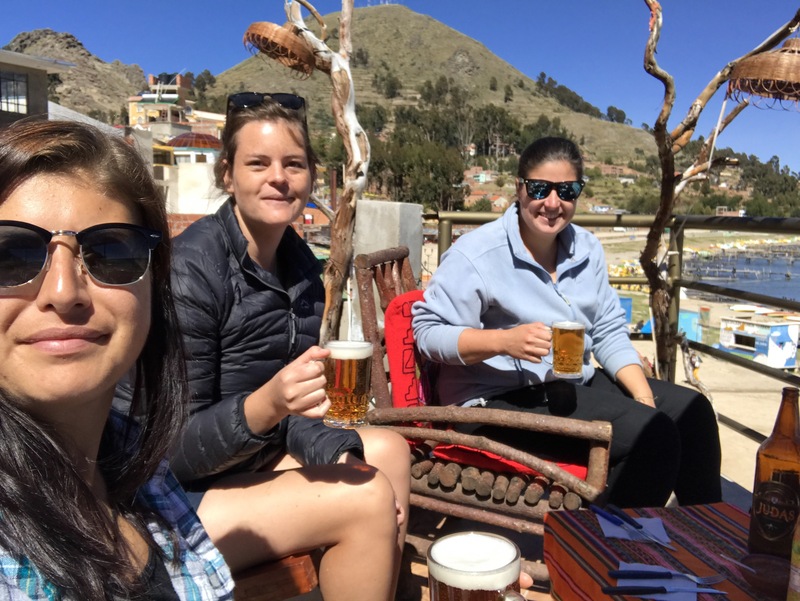 On our first day visiting Copacabana, we relaxed in the morning and then made our way up Cerro Calvario in the afternoon so that we could watch the sunset. We took some singani (Bolivian brandy made from white muscat grapes) and sprite with us for sundowners. Kelly, Courtney and I met some other people we knew at the top of the hill. It was nice to appreciate the sunset together. 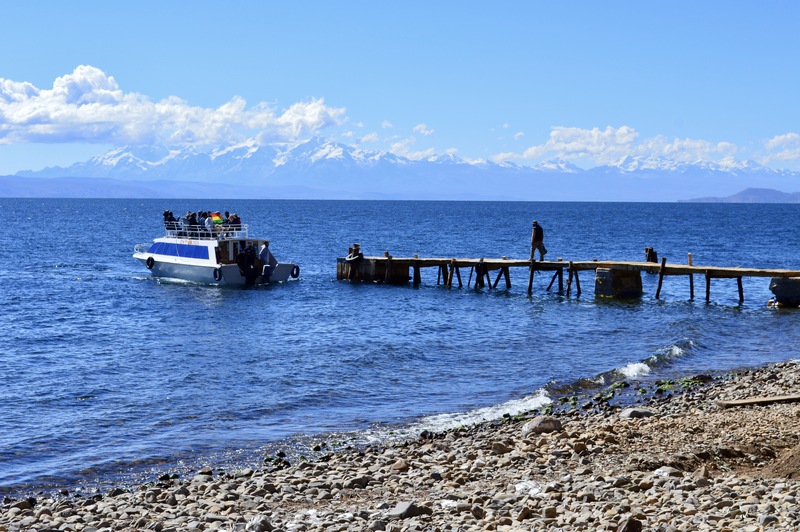 On our second day we did a day trip to Isla Del Sol and Isla de la Luna. These islands both have significant meanings in Inca beliefs. 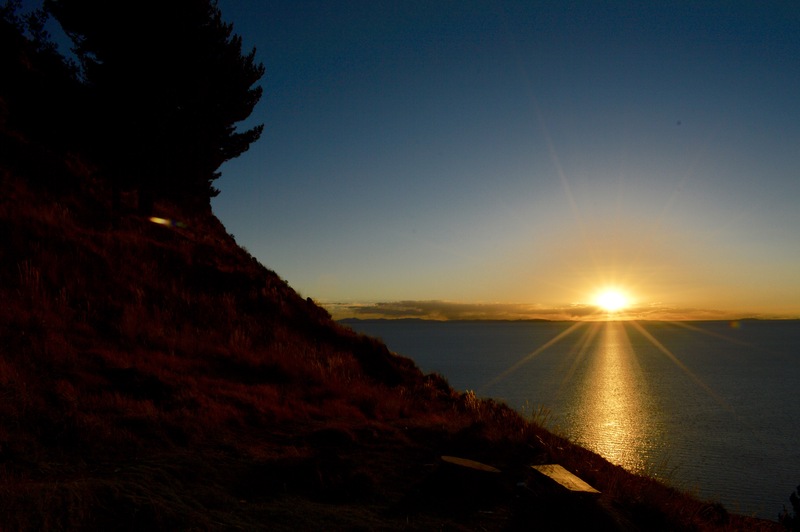 Isla de la Luna is the island where the Inca people believe that the moon was commanded to rise for the first time. 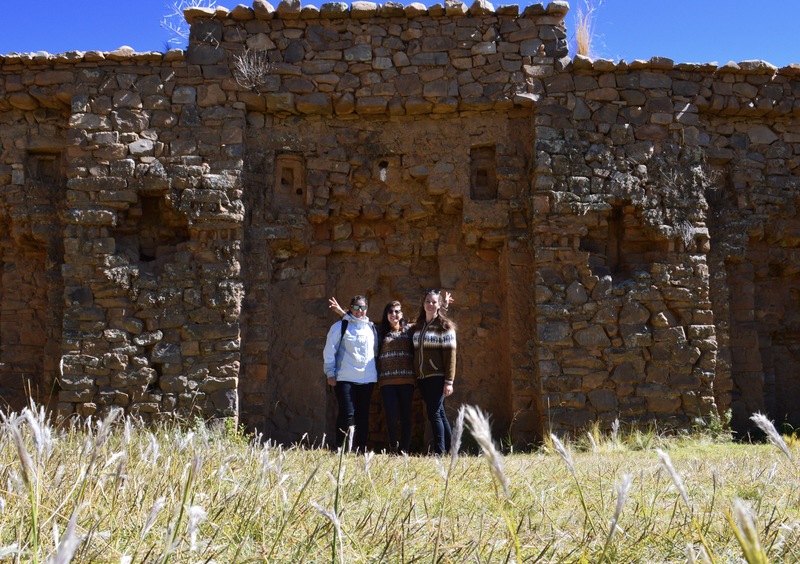 There are approximately 80 people that live on this small island, and there are some interesting Inca ruins to look at. 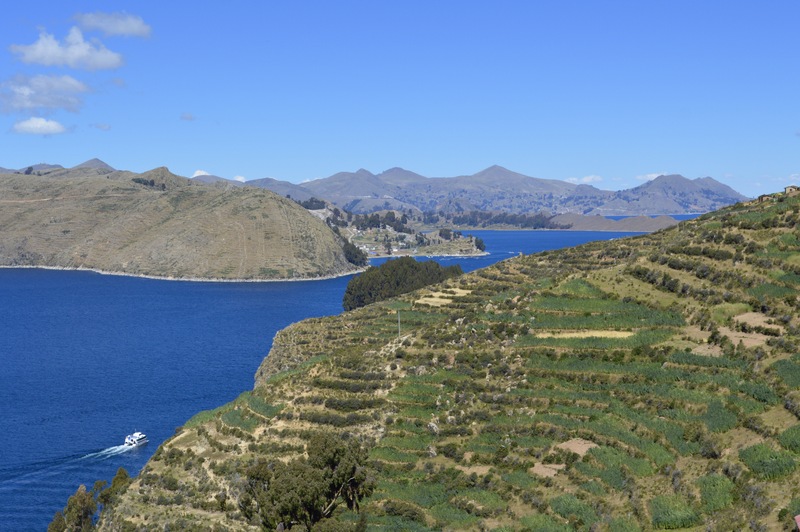 The second island, Isla Del Sol, is an island that has approximately 800 families living on it. 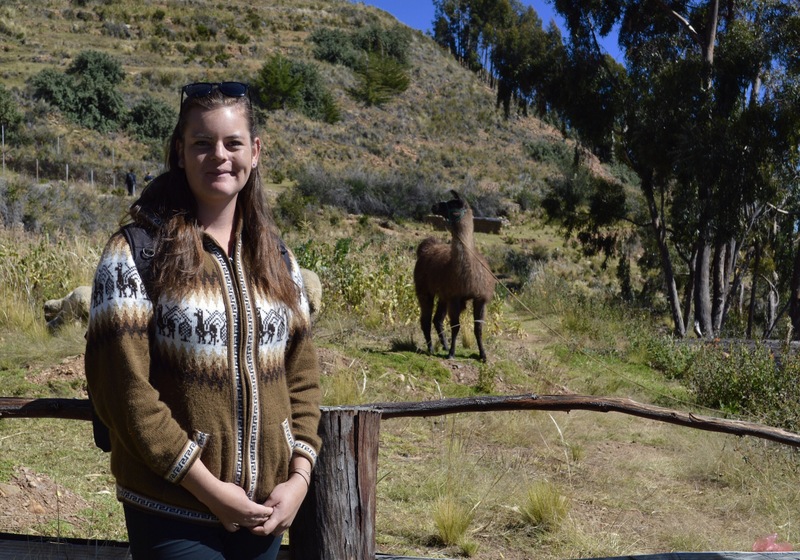 Farming and tourism are the primary economic activities for these families. There are no paved roads or vehicles on the island, so we were able to enjoy an hour stroll on the mountain looking at the beautiful views and local farms. Copacabana had a lovely vibe to it, with a street that was filled with restaurants that were not too expensive. I really enjoyed my time spent relaxing in this town. Our bus (to the right) being transported across a small section of the lake. Cerro Calvario was beautiful in both the day and night. It was freezing when the sun went down, but we had no complaints with a view like this. My alpaca jersey and my alpaca friend. 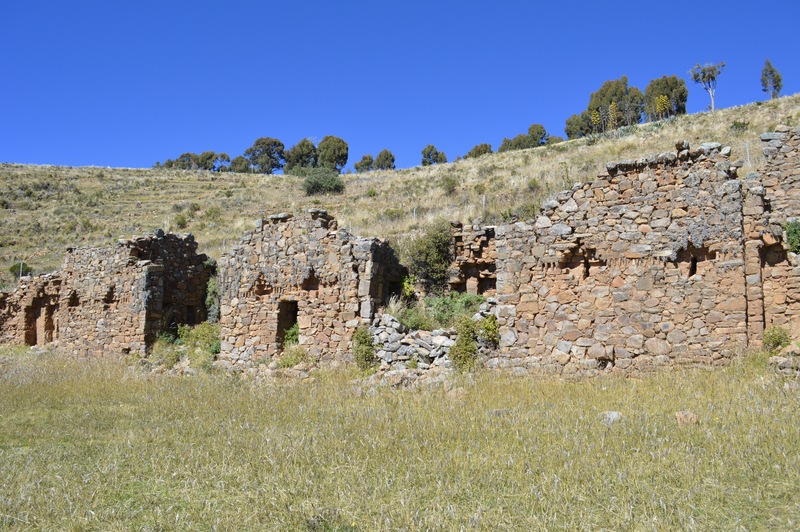 Some of the Inca ruins on Isla de la Luna. Courtney, Kelly and I on Isla de la Luna. One of many boats leaving Isla de la Luna. The snow capped mountains were beautiful. 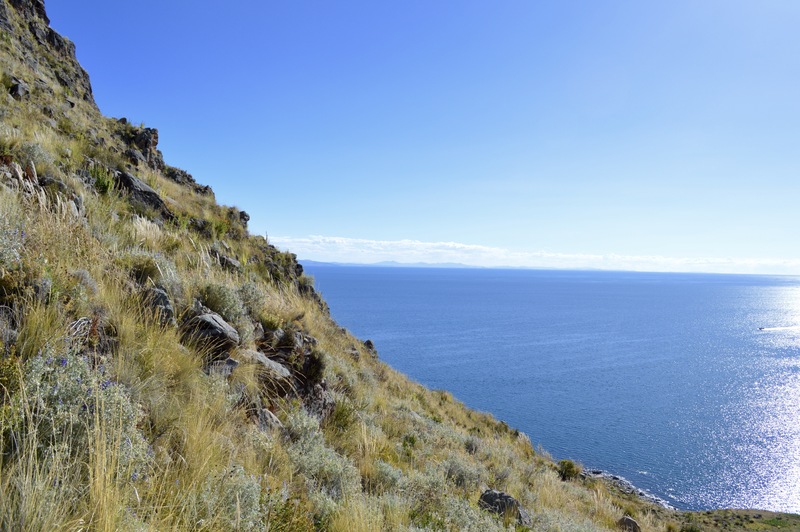 The view from our walk on Isla Del Sol. Kelly, me and Courtney enjoying a beer in Copacabana’s waterfront. 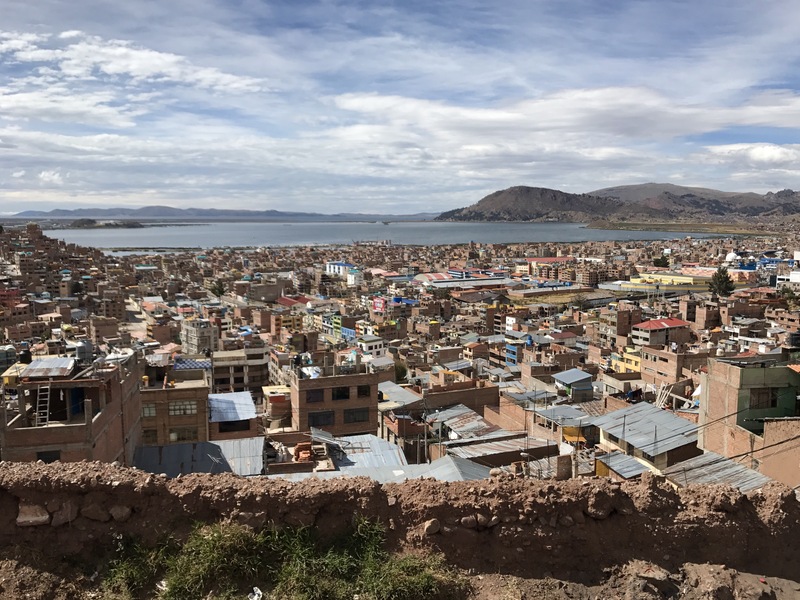 We crossed the border into Peru and after four hours on the bus we arrived in a city called Puno. This city was a lot bigger than Copacabana and didn’t have as nice a vibe to it. The waterfront had no restraunts and the city felt slightly grimey. Courtney and I spent the first day just relaxing, but on the second day we went to visit the floating islands. 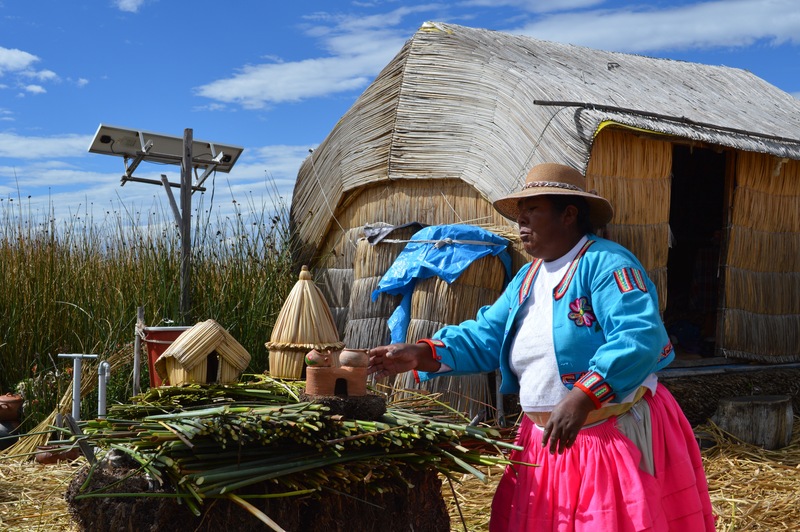 Isla Flotante Delos Uros are floating islands that were built by the Uros people. 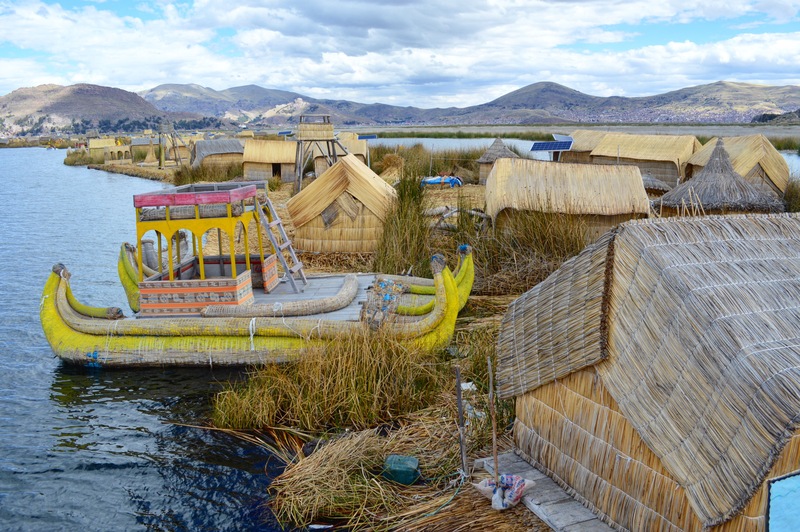 Originally, they built these islands (made out of reeds) in order to separate themselves from the Inca people. Currently there are over 80 of these islands. On our tour we visited two islands. On the first island, the president of the island explained their way of life to us. 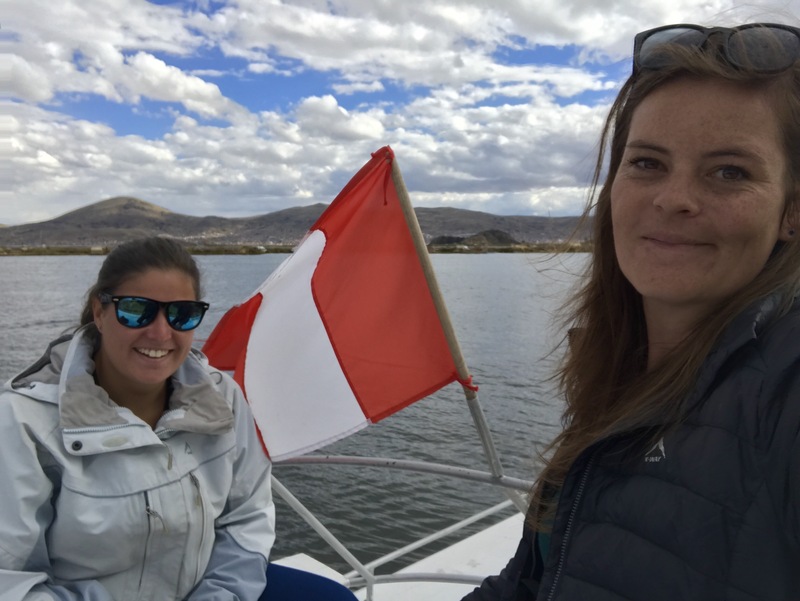 It was interesting to learn that children are given primary education on the island but for high school and university they must travel to Puno on a daily basis. The islands inhabitants fish and catch Andean Coots in order the have a constant food supply. She also explained to us how the islands were constructed. After this talk, the tour group was separated into smaller groups and taken by a local female to look inside their family’s home. Courtney and I were privileged and got to go with the president. Her home was small, and filled with small souvenirs that we could buy. The president made Courtney and I dress like locals. This was a lot of fun. After this we took a dragon boat to our second island. This island only had souvenir shops and restaurants on it. 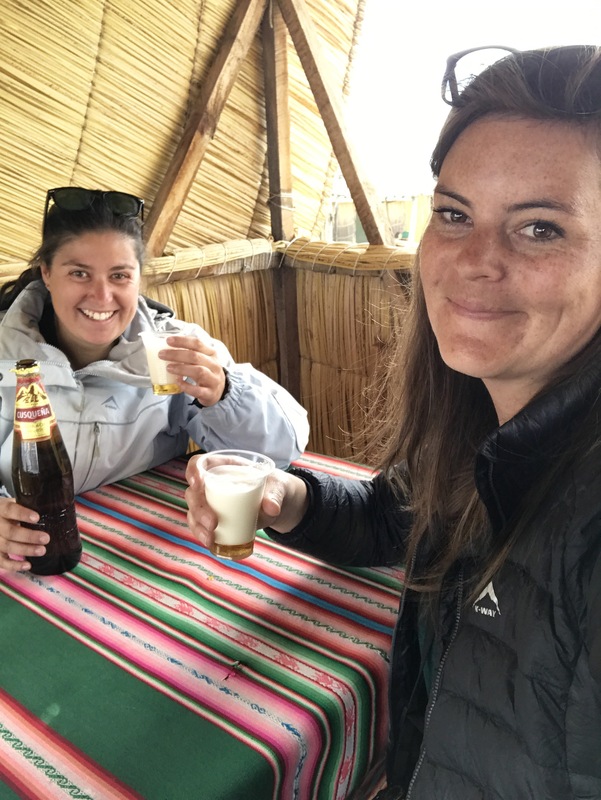 Courtney and I enjoyed a Peruvian beer before we headed back to Puno. 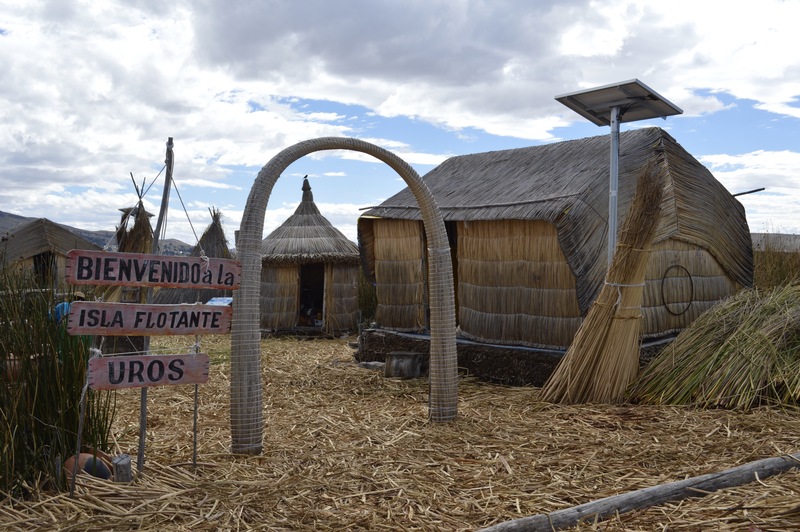 Even though this tour was very touristic, it was still informative and fun, and made Puno a place worth visiting. 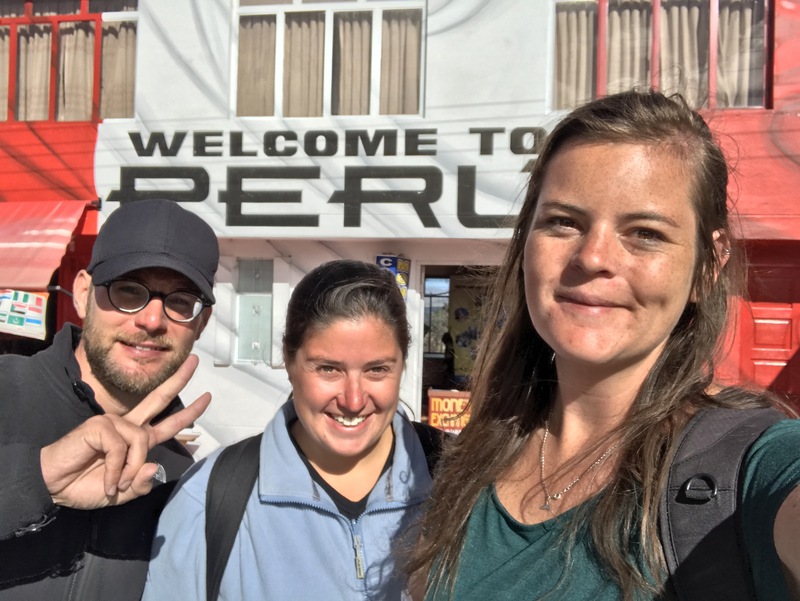 Andreas, Courtney and I crossing the border into Peru. The view of Puno from the bus. On the boat ride to the floating villages, we passed by the reeds which are used to construct the floating villages. We had perfect weather for visiting the floating villages. The entrance to the first island we visited. The president from the first island explaining to us how the island was built and the role everyone plays when living on the island. Courtney and I with the president of the island in traditional chlothing. The view of the floating villages from the top of the dragon boat. Being transported to the second island via dragon boat. Despite all the head on the beer, we enjoyed having a drink on the second island. 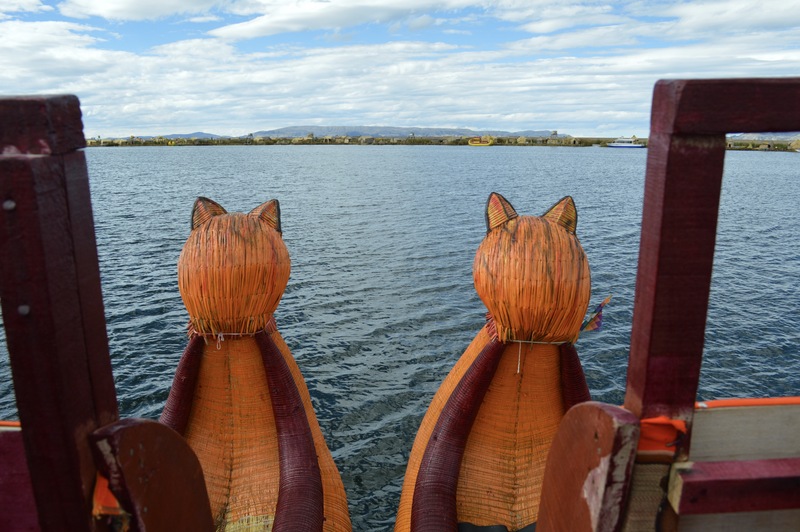 Taking the boat back to Puno. 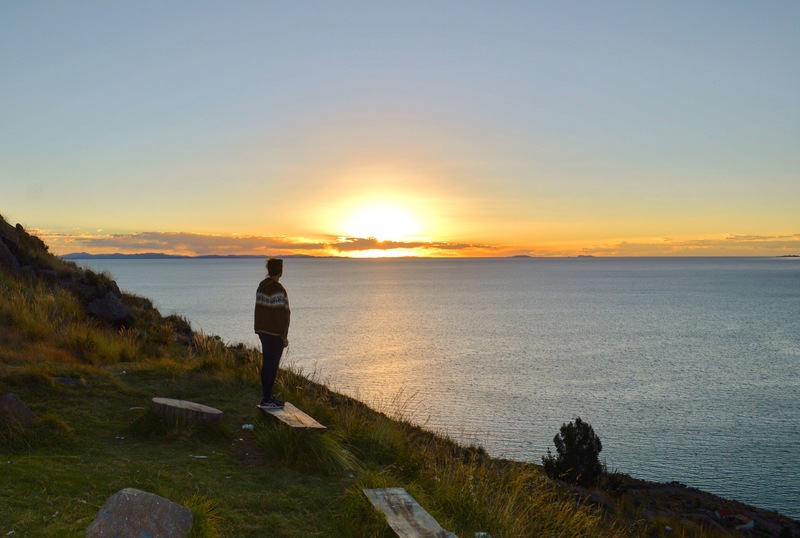 Our time spent near Lake Titicaca was peaceful and relaxing. 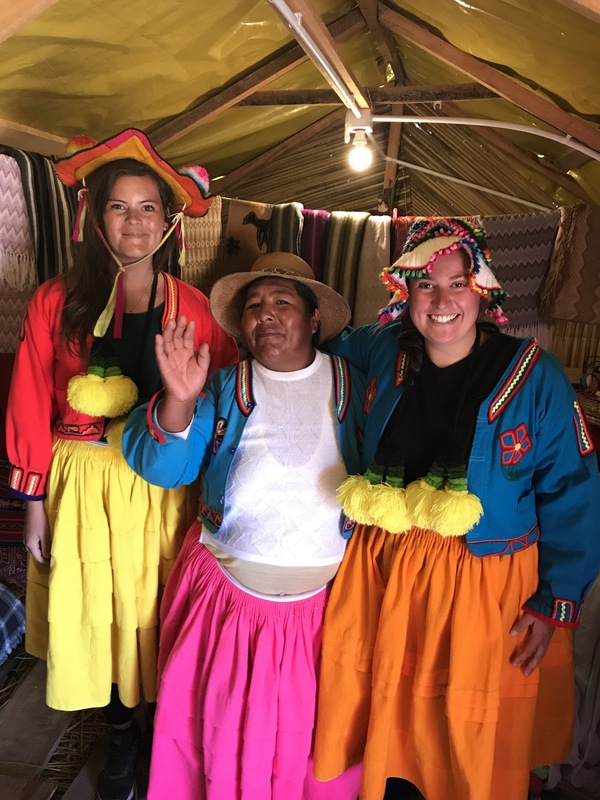 We moved slowly for a change and mentally prepared ourselves for our last month in South America. Previous postCoroico: It might kill you to get there but the views are worth it!